I don’t remember when was the last time I used to use a desktop messenger. Long back, I was a huge fan of Yahoo Messenger & Google Talk. These days, it’s mostly my Skype which is fired up all the time, and I use Whatsapp on the smartphone. Facebook Messenger is another messaging app that I use daily, but mostly on the web version or my Smartphone. 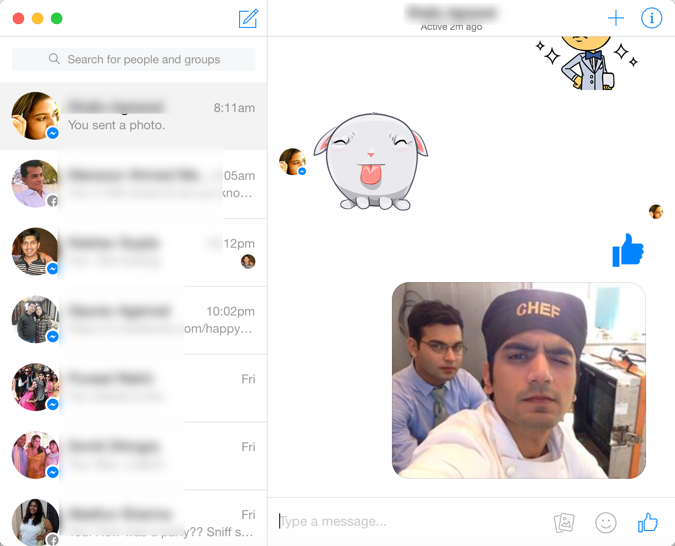 Today I will be sharing about GoofyApp, which is an unofficial free Facebook Messenger app for Mac OS. This app is an open source app and is a fully functional desktop version of official Facebook Messenger. This is a light-weight app, which you can download from the official page here. Once the app is installed, you can login using your Facebook ID. You will be surprised to see the features of the app, as it feels like you are using Facebook Messenger on the web. The only thing that I missed is ability to video Or voice chat using Goofyapp. If this feature will be integrated in coming days, this will be one amazing & must have Facebook app for Mac OS. 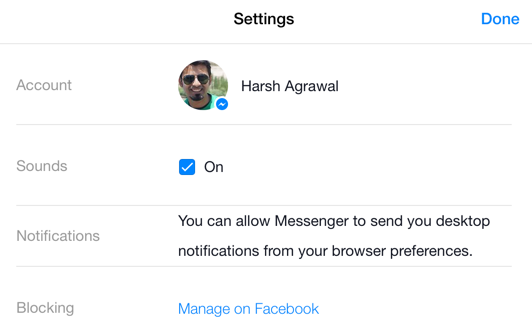 If you are a developer & want to know how Daniel built this simple to use Mac Facebook Messenger, you should read his blog post here. For a price tag of free, GoofyApp is the best free desktop FB Messenger for Mac operating system. If you are looking for more features & don’t mind paying $2.99, you should download Current for Facebook, which is a Mac OS app available on official Mac App store. Do let me know which other app or add-ons you are using on Mac to improve your Facebook experience? Don’t forget to share about this useful app with your friends on Facebook. Wow this GoofyApp is new to me and im sure i will enjoy using this app. Next post: How to Keep Your iPhone Secure & Avoid Scandals Previous post: How To Secure Facebook Account From Hackers ?